Already listed with our Phuket handicrafts directory? 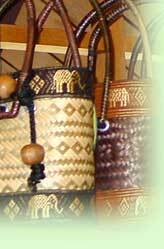 Handicraft in Phuket can be simply craft, handmade handicraft or luxurious handicraft design. Update the design and style at Phuket handicraft shops for your place now via Phuketindex.com from a quality list of handicraft in Phuket.